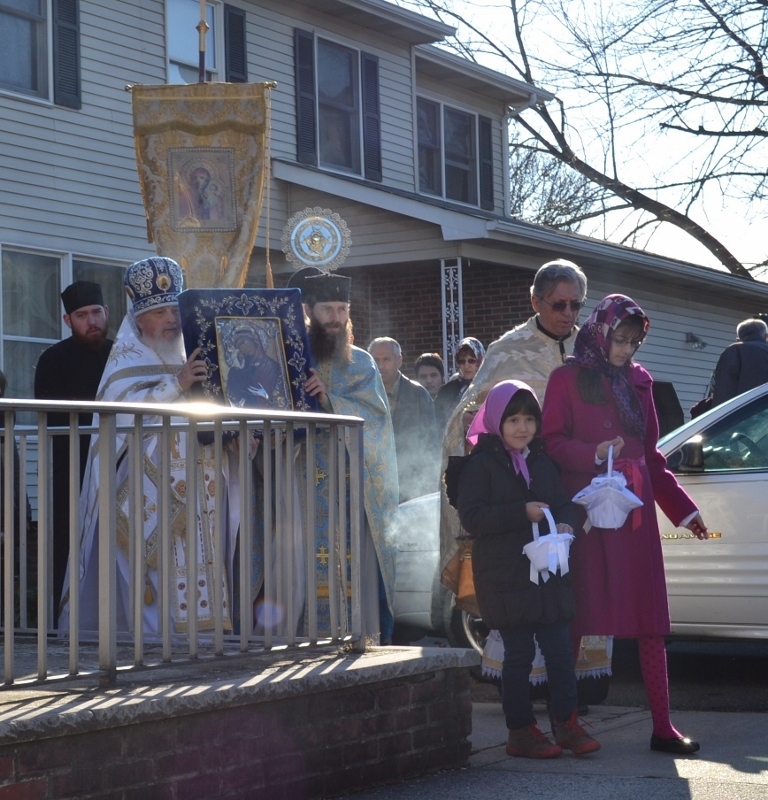 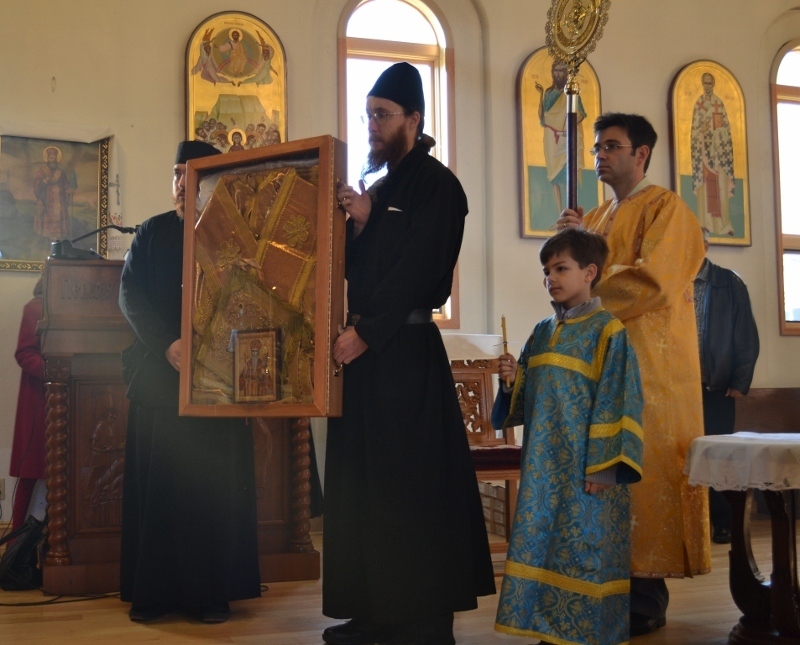 With the blessing of His Grace Bishop Mitrophan of Eastern America and Fr. 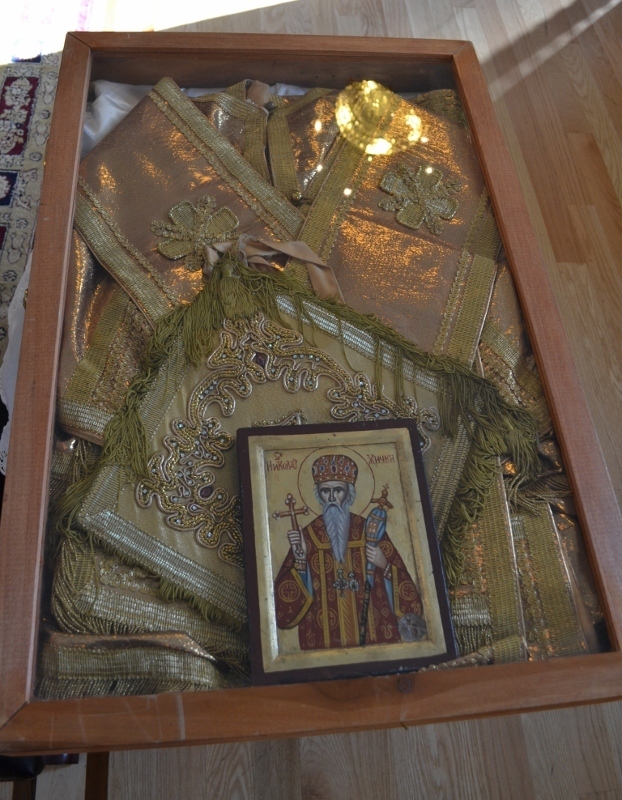 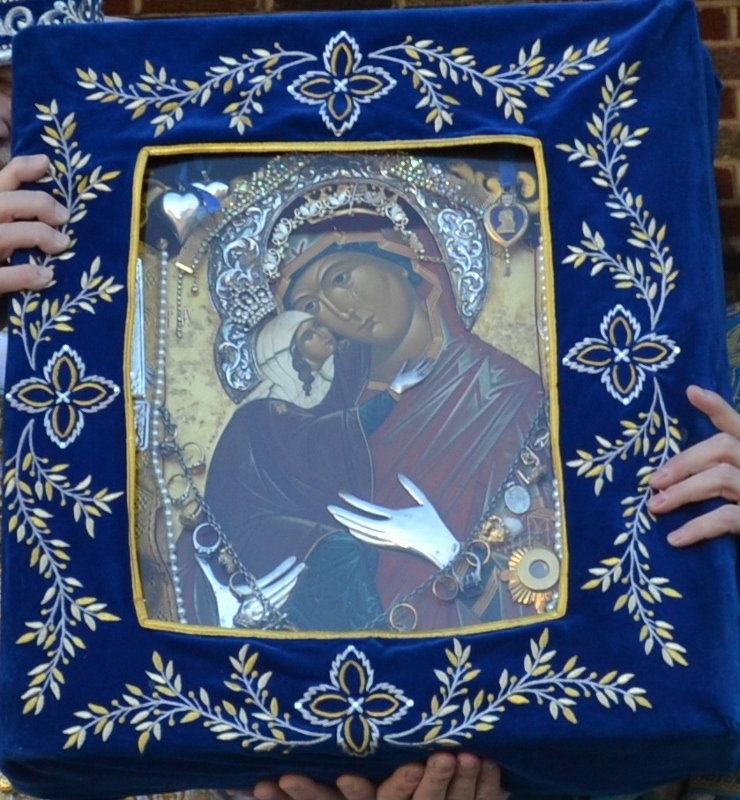 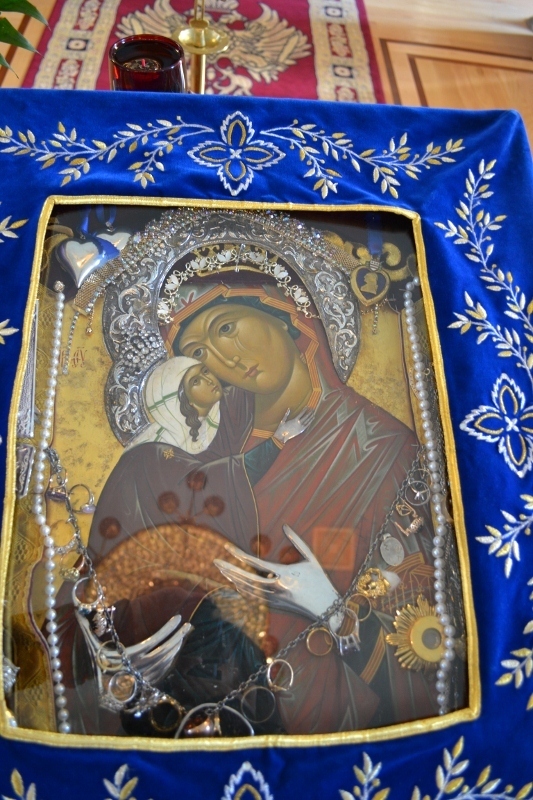 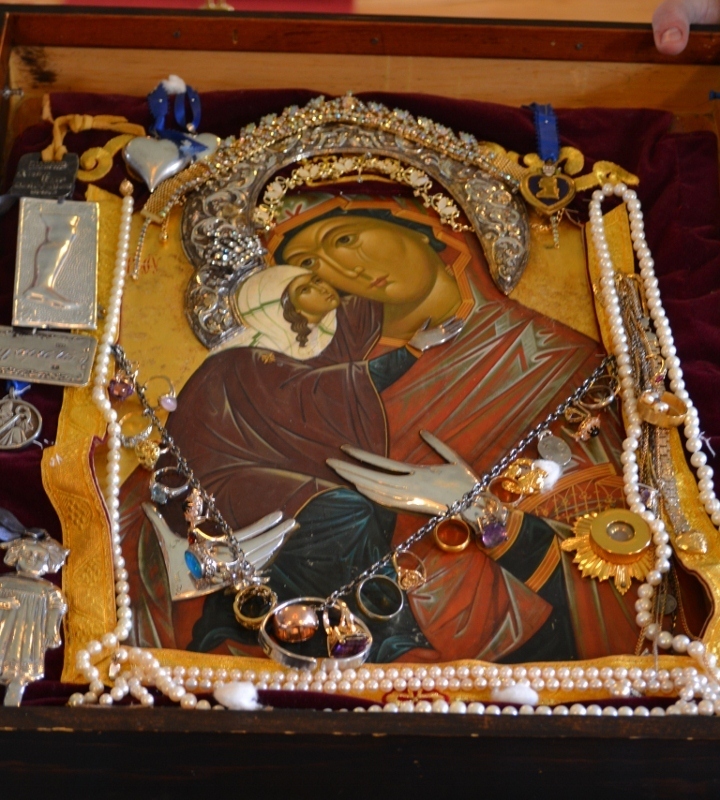 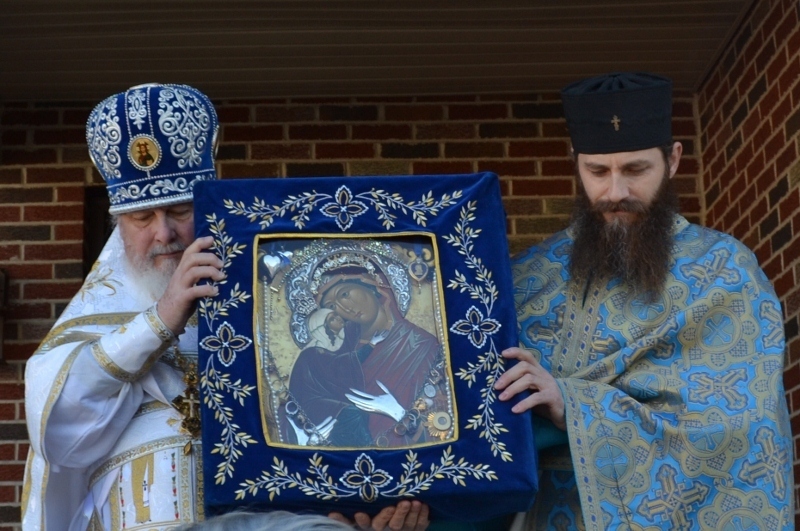 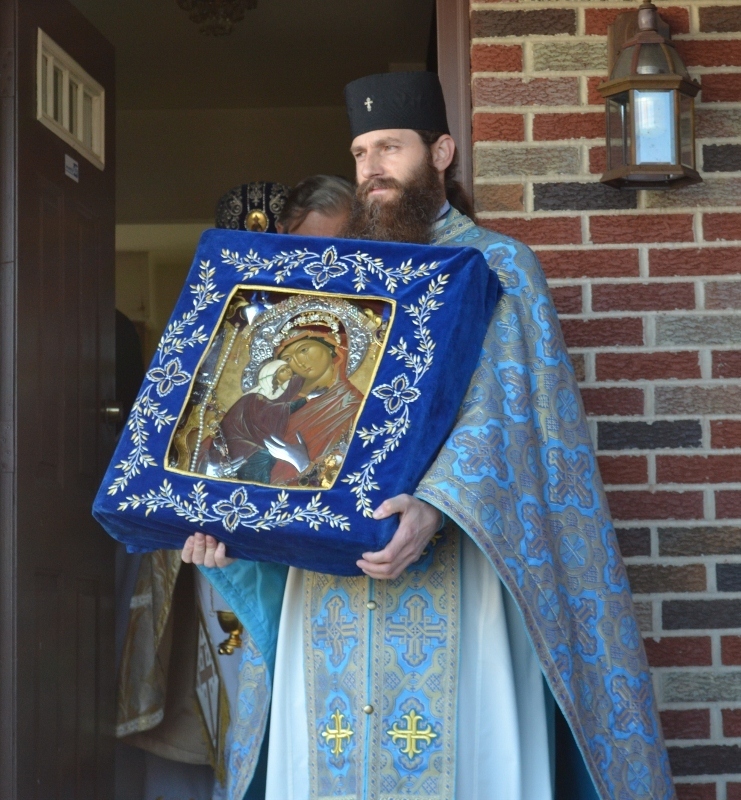 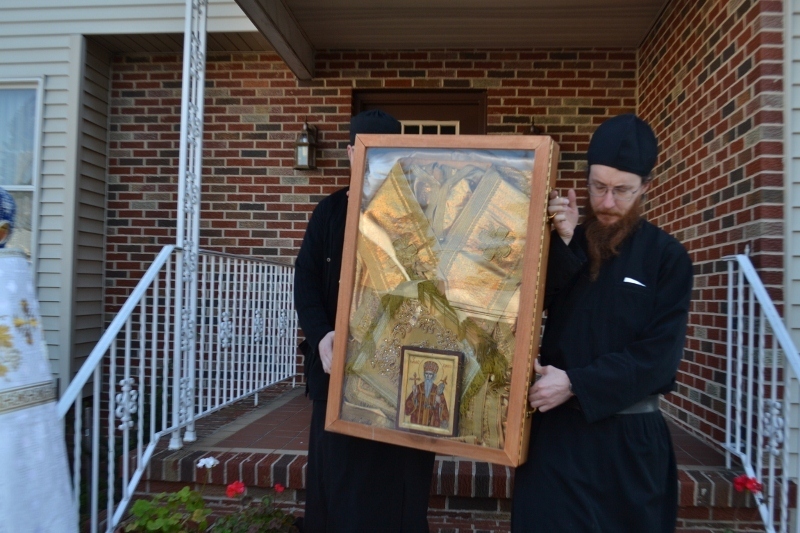 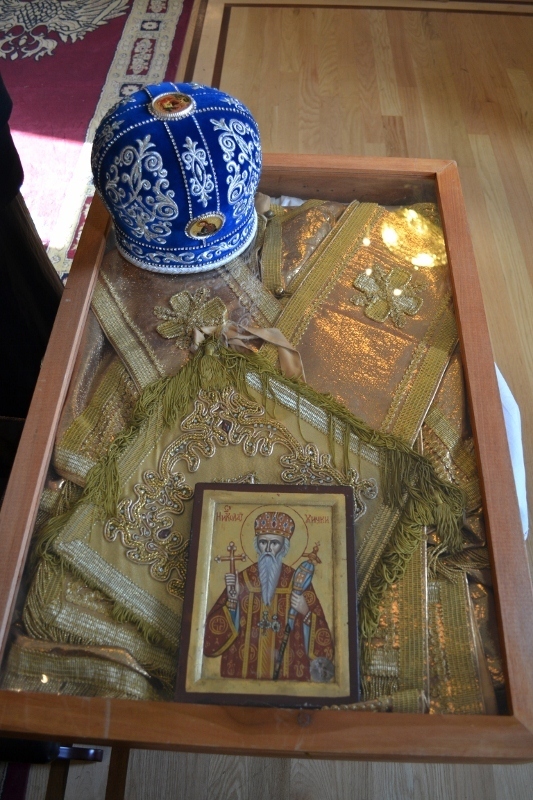 Igumen Sergius, Abbot of St. Tikhon’sMonastery, our dear friend Archimandrite Athanasy(Mastalsky) brought the miracle-working myrrh streaming icon of St. Righteous Anna with her holy relics and the complete vestments of St. Nikolai, together with the icon with his holy relics. 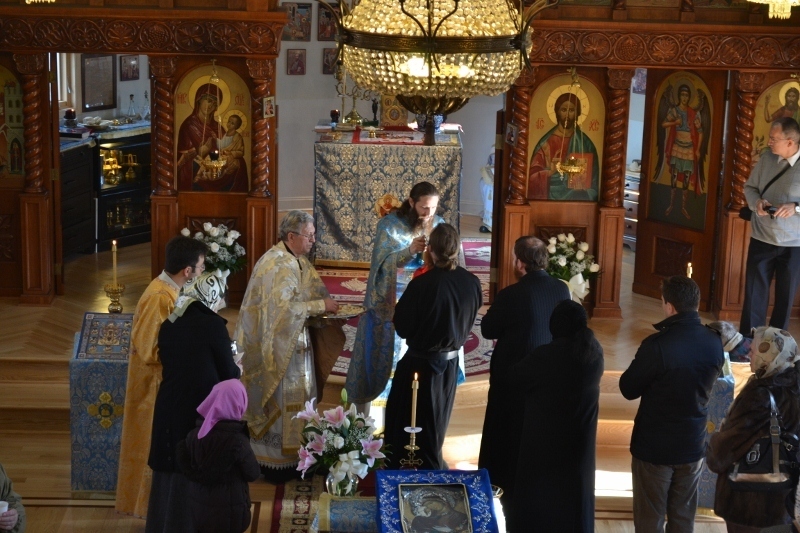 We were all overwhelmed with such spiritual joy that no words can describe. 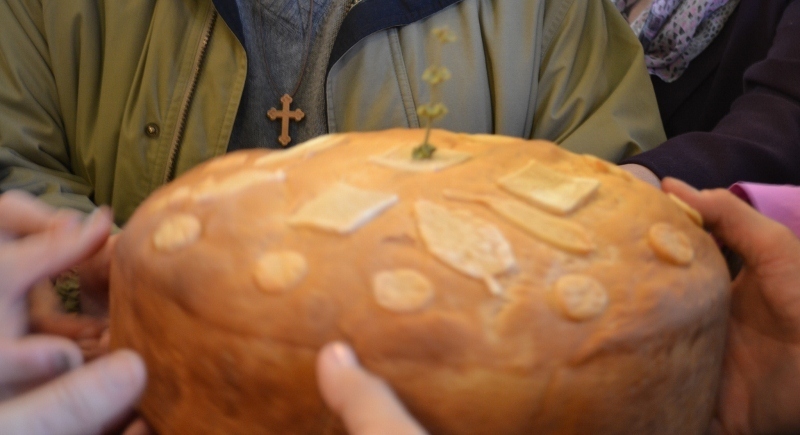 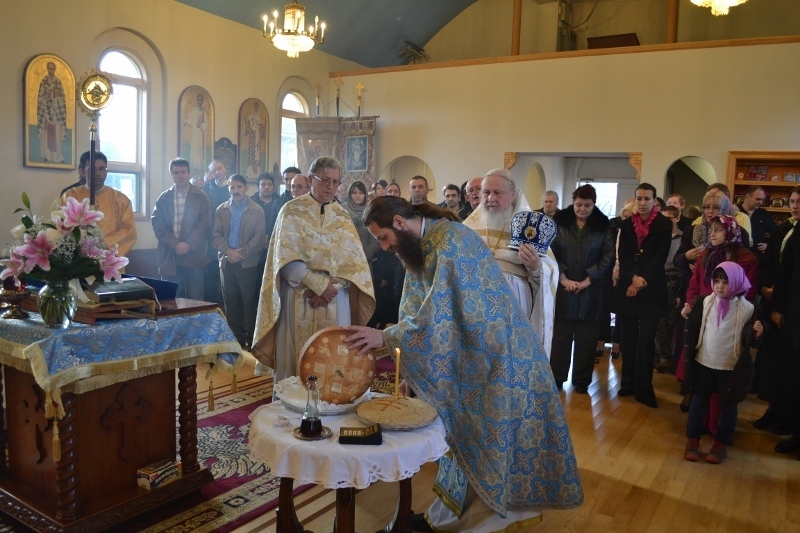 After the Divine Liturgy served by Fr. 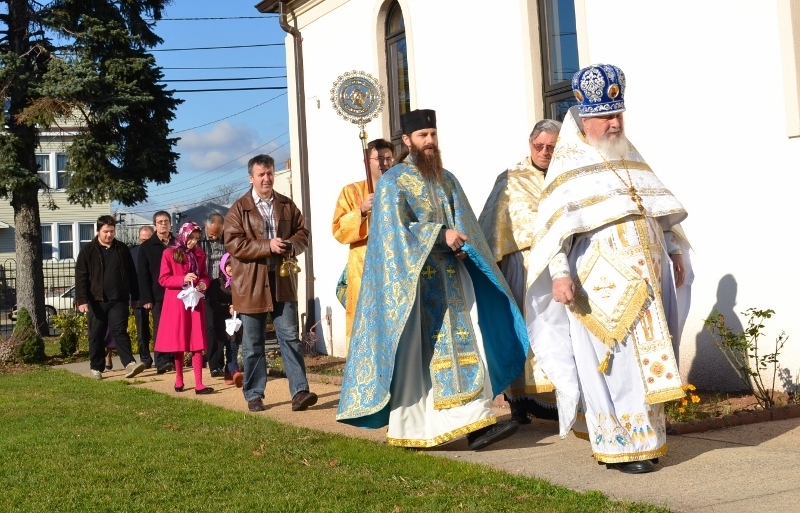 Athanasy, Fr.Toma Popovic and our parish priest Fr. 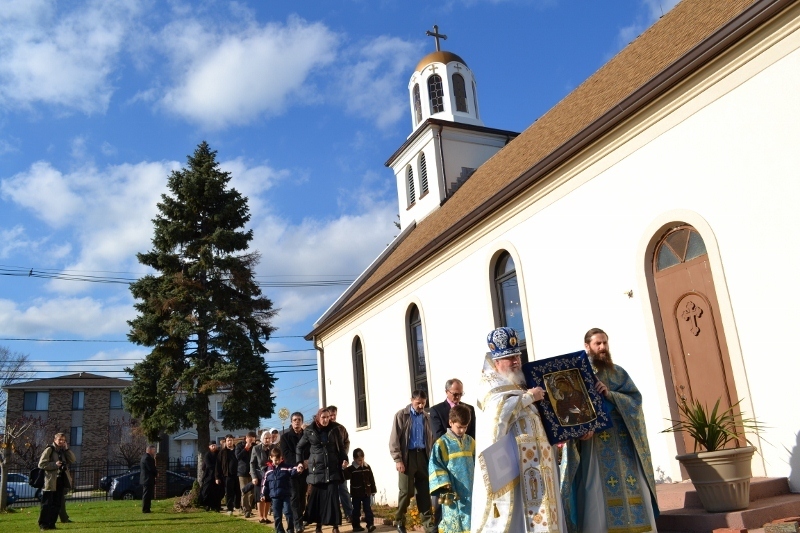 Zoran Radovic, we went in a procession around our recently restored church with the holy icons. 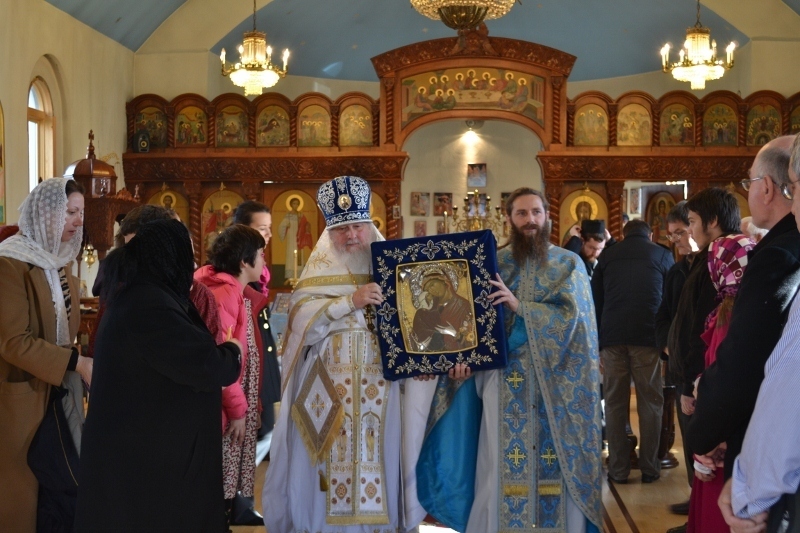 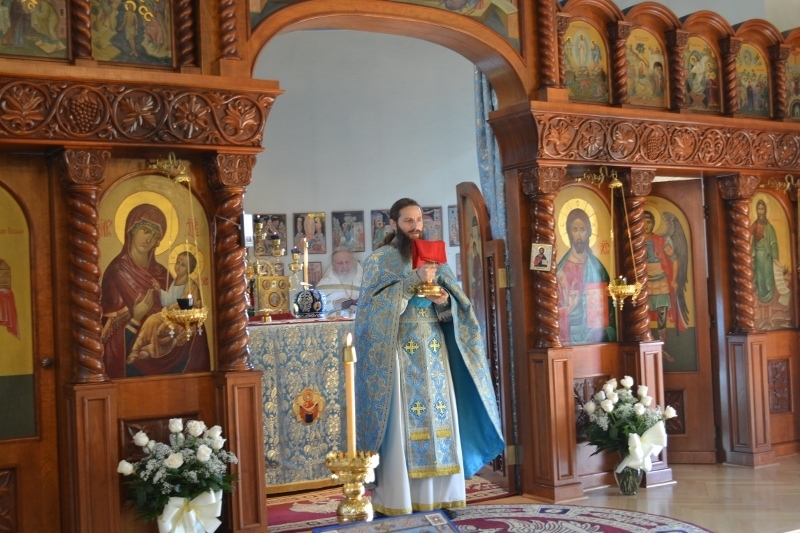 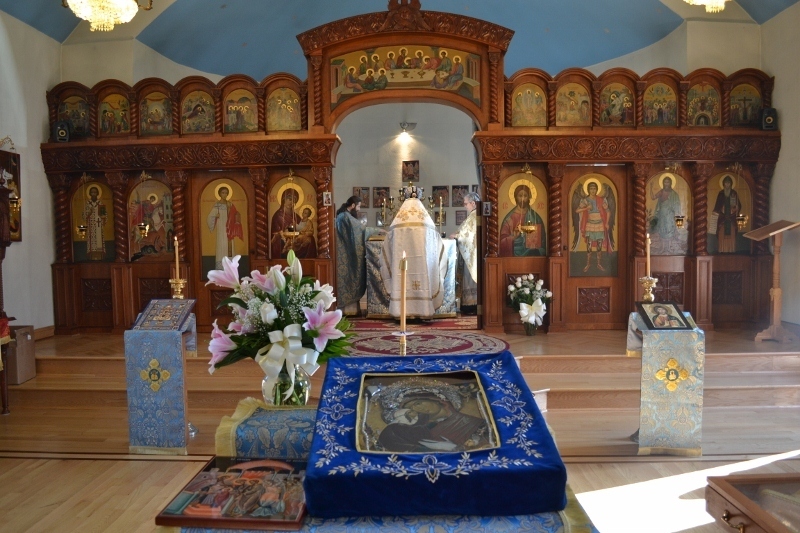 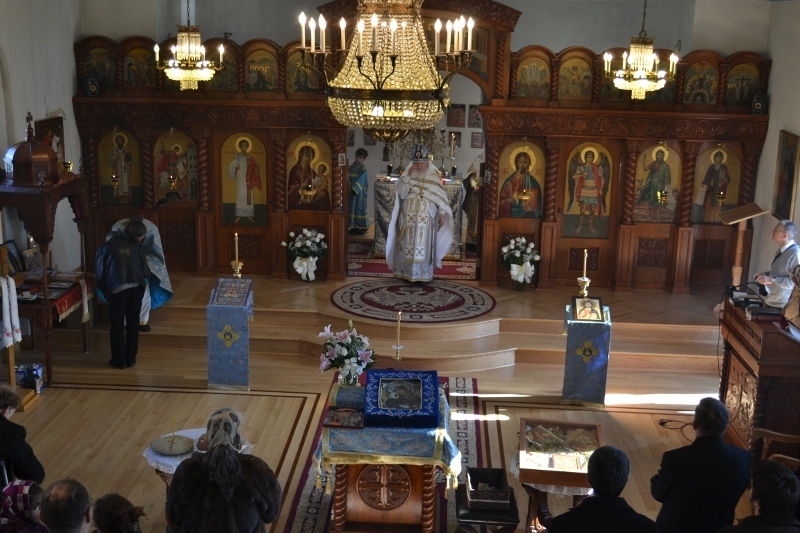 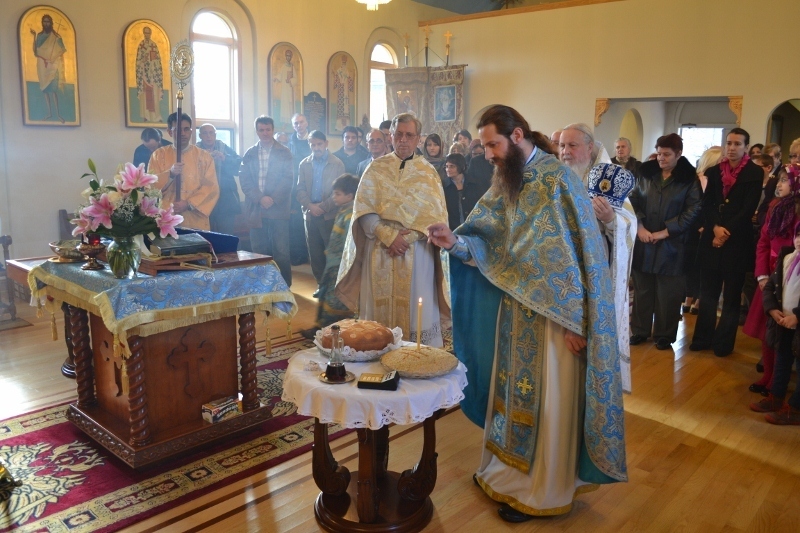 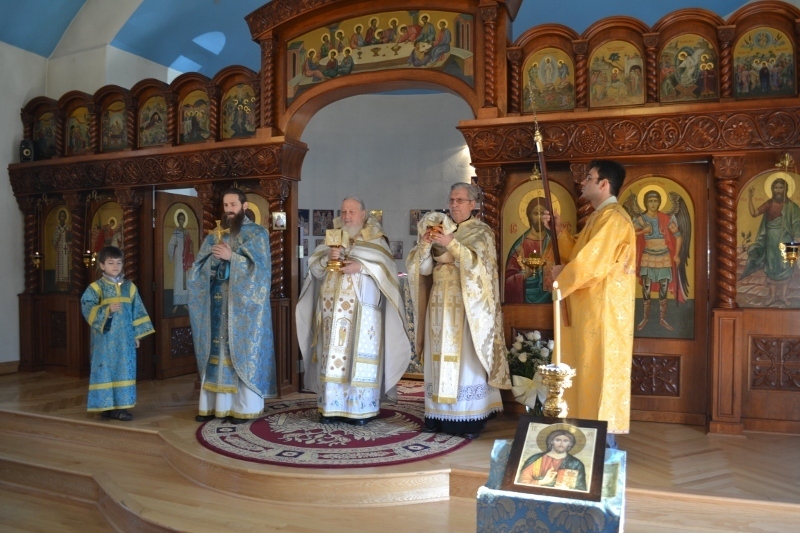 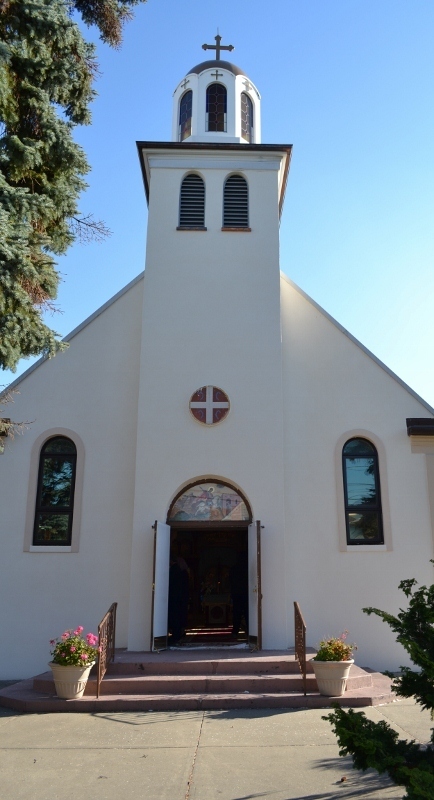 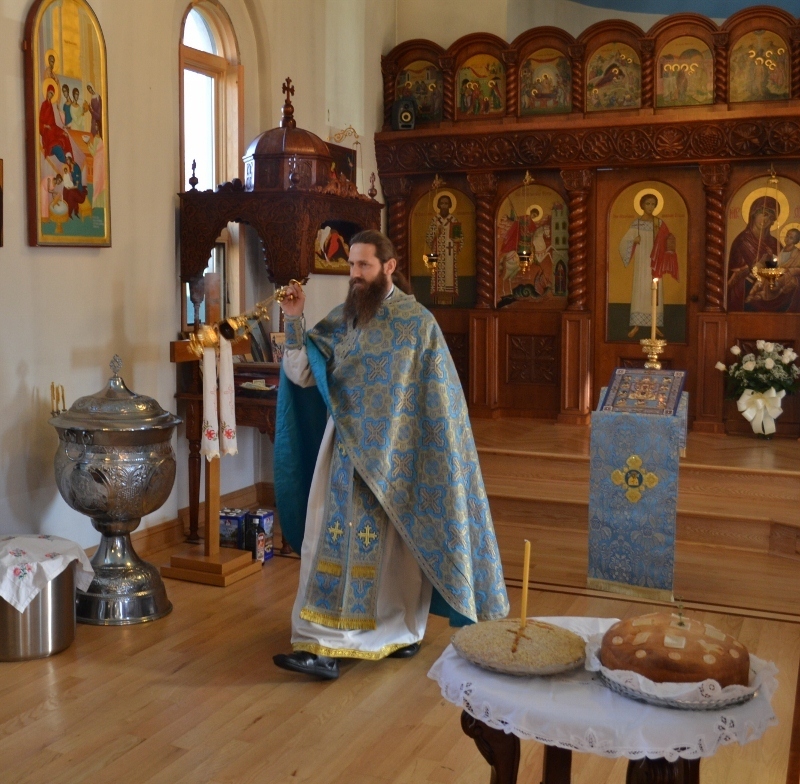 In the church the kolachand zhito were blessed and prayers to the Most HolyTheotokos, Saint Anna and Saint Nikolai offered by the officiating clergy.